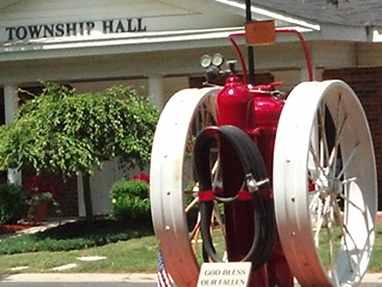 The Greater Romeo-Washington area is rich with history, natural beauty and economic opportunity. 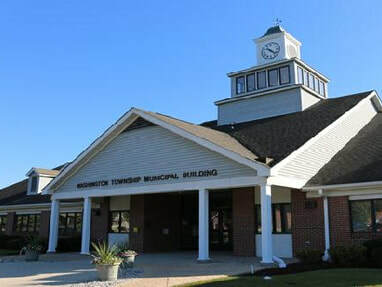 Our close-knit communities-Armada, Bruce, Ray, Romeo and Washington offer ample open space, abundant recreation, excellent housing and education and a robust agricultural industry. All this adds up to the outstanding quality of life residents expect. The Greater Romeo-Washington Chamber of Commerce is an important part of the region’s success story. The Chamber provides leadership opportunities, volunteer programs and business building initiatives that reflect community values and priorities. These efforts connect business, community leaders and drive the economic development that supports our way of life. A quiet bedroom community surrounded by family-owned farms and orchards. 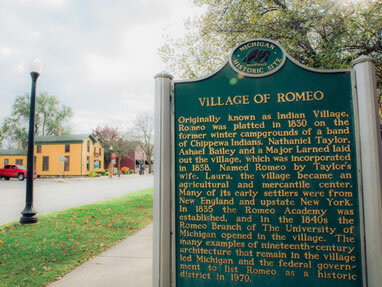 Romeo’s rich history, strong sense of community and first rate schools that make it a desirable place to reside. Bordered by Oakland County, Lapeer County Washington Twp. 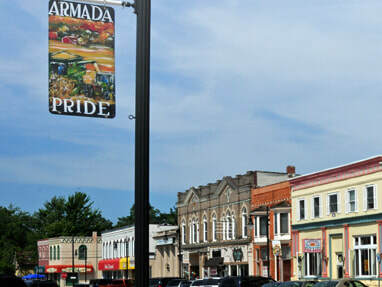 and Armada Twp. Home to over 24,000 residents that enjoy parks, trail system, golf courses, lakes, orchards and more. 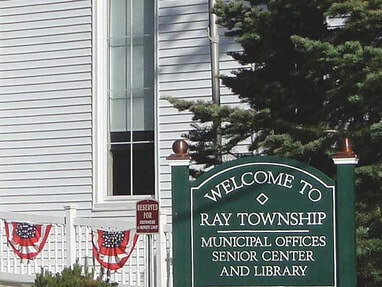 36 square miles bordered by 32 Mile, 26 Mile, North Avenue and Romeo Plank.